1. Brother Baba Budan is one of my go-to spots for a quality coffee in Melbourne’s CBD. It may be tiny, but it makes up for it with its funky charm and atmosphere. The house coffee is from famous Carlton based roastery, Seven Seeds. If you’re lucky, grab a spot at the communal table and watch the masters at work as they churn out countless brews to the steady queue of caffeine hounds. And don’t be alarmed by the chairs hanging precariously from the ceiling – I am assured they are held on tight. 2. With a sister cafe in Windsor, Dukes Coffee Roasters in Flinders Lane doesn’t miss a beat. Like Brother Baba Budan, seats are limited, but it’s a great option for a pre work takeway coffee. Dukes pride themselves on environmental and social sustainability; all of their coffees are ethically traded and organically grown where possible. Don’t miss the decadent selection of pastries on the front counter (my favourite is the white chocolate coated alfajores). Be prepared to queue a little at peak tomes. 3. Set in a stunning Victorian terrace overlooking Carlton Gardens, Epocha’s ambience is every bit as charming as its menu. With its high ceilings, wooden floors and cosy candle light, Epocha will feel like you are dining in your wealthy relative’s dining room. The menu is largely European and divided into a mouth watering array of sharing plates which focus on the seasons. Whether it’s for a romantic date or a special occasion, I’d challenge you to find a nicer spot around town. 4. Sidestep Epocha on the ground floor and walk up the steep staircase and you will find the beautiful Hannah’s Bar. Featuring antique silverware and murals by local artists Merryn Trevethan and Jamie Boys, the bar is a stylish establishment, perfect for an after-work cocktail or two. In the summer months, retreat to the balcony and overlook the beautiful gardens below. 6. Hoptoberfest at Hophaus on Southbank for the closest Oktoberfest experience you will experience in Melbourne. Expect traditional Bavarian food specials like schnitzel, rotisserie chicken, bratwurst and of course salty giant pretzels. There’s also a great range of Oktoberfest Bier on tap served throughout the festival, especially flown in from Bavaria. So get your stein and your lederhosen out and get into the festive spirit. But hurry, the festival ends on the 5th October!!!! 7. There’s a lot to love about Grossi Florentino’s Cellar Bar. The timeless bar/restaurant oozes charm and style. It may not be as sophisticated as the menu next door but the pastas are superb, hearty and affordable. The menu has a small selection of traditional Italian dishes which focus on simple, quality produce. It’s also a perfect spot to perch at the bar and enjoy a deep bodied red after a hard day’s work. 8. My latest addiction is Connoisseur Murray River Salted Caramel Ice Cream – I could literally eat it by the bucketful. The icecream is infused with pure, ancient salt from Australia’s Murray River. Chocolate coated hazelnuts are folded through hazelnut flavoured ice cream for an extra flavour punch. 9. 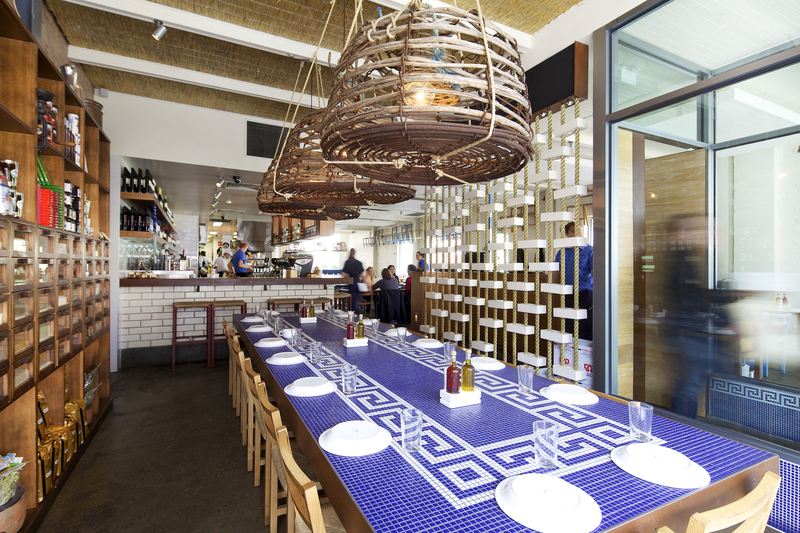 From the team behind San Telmo, Pastuso is the latest Peruvian inspired restaurant to hit ACDC Lane. The pisco sours here are spot on. For food you can expect a palate popping selection of authentic Peruvian food with modern touches. Next time I will be sure to order the scorched tres leches cake soaked in condensed milk. 10. Deliciously Ella’s ‘Breakfast Smoothie’. With a healthy combination of spinach, banana, berries, oats and chia seeds – it’s the perfect smoothie to get started in the morning. What have been your favourite finds around your town this week? Would love to hear your comment below! Ahhh ShortStop, so want to drop in, but I’m scared by the time I get there, there’ll be nothing left for me!! And totally agree with you about Pastuso – I only got a taste of what they’re doing at the TimeOut Melbourne Food Awards, but man it was good!! This is great! Thanks for the tips Lisa. Thanks so much!! Very kind of you 🙂 Love your blog too.